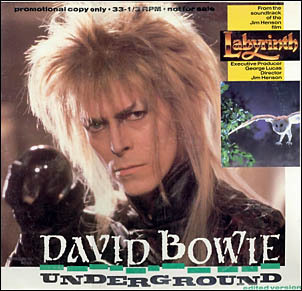 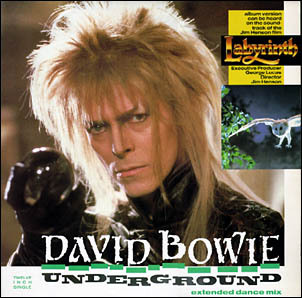 David Bowie - Illustrated db Discography > Underground 12"
Released on yellow and greenish-yellow vinyl. 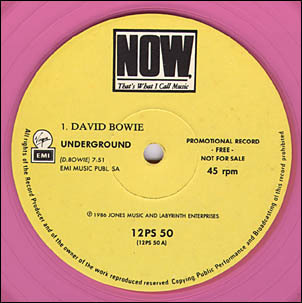 Promo 12" with the single and album version. 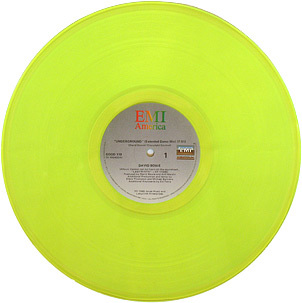 Note: catalogue numbers on the sleeve (9670/9692) are different from those on the label (9670/9699). 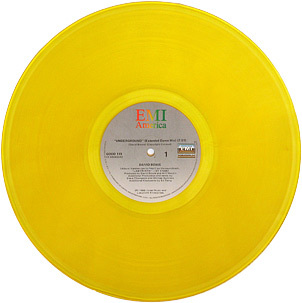 Label of the EMI SPRO 9670/9699 promo 12". 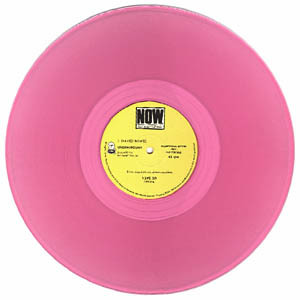 Promo-only 12" on pink vinyl. 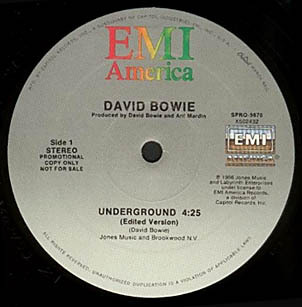 Label of the Virgin/EMI 12PS 50 promo 12".